I recently had coffee with a friend who also studies the Simple Equine Teaching (SET) method where we commiserated briefly on how we sometimes feel like failures with our horses. She had a few stories of horses questioning her leadership that sounded to me like she worked through pretty nicely. I think I won the horsemanship fail game with some pretty ugly rope burn blisters still healing on my right hand. Then there’s the times she won’t stand still while I groom and saddle her… when she walks away from me in the pasture… when she tries to communicate with me so desperately and I have no idea what it is she nips in to the air to see if that makes it more obvious- like someone speaking to you in a foreign language LOUD and S-L-O-W-L-Y in hopes it might help. I had already gone through some introspection wondering if I would ever get this system really working for me and it’s been a couple of years now. 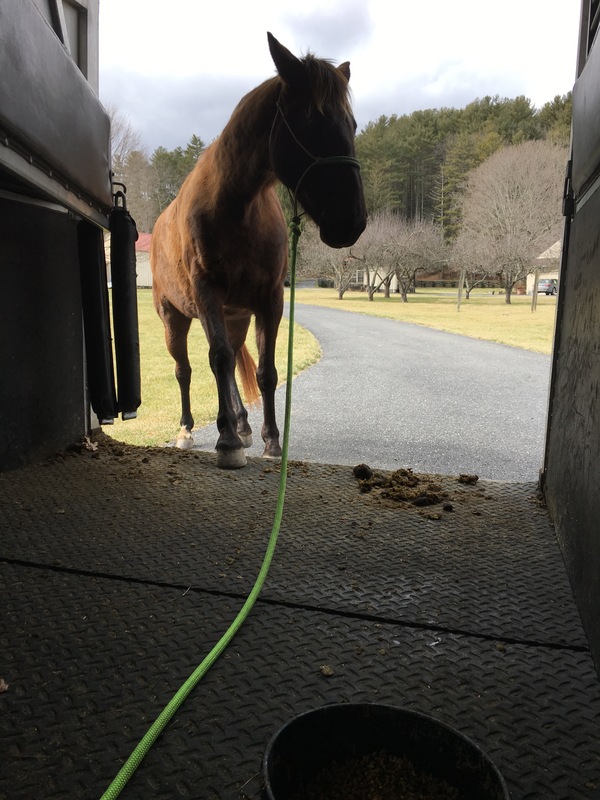 The rope burns were from an unusual trailer loading where Khaleesi – who generally gets on the trailer without fuss – not only refused to get on for an hour but then loaded and pulled an emergency exit before I could secure her. I grabbed the rope to keep her from fleeing completely (which would have been an entirely new layer of problem to fix). That hurt. After the rope burn I went for gloves, tying K to the trailer to wait for me. When I returned she walked on like nothing had happened as she often had before and stood calmly while I secured her. Not enough time to ride I left her resting on the trailer a few minutes while I did a couple barn chores then backed her off calmly returned her to the field. In retrospect there were a handful of things I missed in the moment being in the situation and not removed as I can be looking back. I now see the mistakes I made that made it worse. I also can see the things I did right that meant when I revisited loading two days later the process wasn’t broken after all and in a brand new day she walked on with gentle invitation on a loose rope. Still, there was a time when I knew so much less and things seemed to be a whole lot easier. Ignorance can be bliss. However as another friend says: once you see, you cannot unsee. It may be simple equine teaching but in fairness I was warned it wouldn’t be easy. Though many methods talk about training humans and helping horses – this system is actually based on that principal than any other I’ve looked into. It’s required of me a higher level of understanding, discipline and control of myself body, heart and mind. I can understand how many people take a glance, or even try to get started then decide it’s too hard, too invasive, too much to expect and walk away. On the flip side, submitting myself to this process has also changed other facets in my life from teaching music to relating to my colleagues, family, husband, even strangers. I’m not sure why the feelings of ineptitude have been stronger lately. I’ve considered it could be a product of having a deeper understanding where now I can see more of what’s really going on, or maybe as I get better my horse demands more of me. I also think there is something in many women horse owners (myself included) that we want to love and be loved by our horses and then interpret behaviors through that lens. This is a hang up to ever truly understanding them. It’s like hearing what you want to hear instead of what’s being actually said. Love to humans (in my observation) most often means “you make me feel good“. I’ve been noticing where I find this tendency in myself and I continue to work on the shift to truly loving my horse in the way that means: I am devoted to understanding you and what you need without the lens of what I wish it meant for my own needs. Hm. Maybe that’s how I’m supposed to love my husband too. This is a harder path though. To choose to do not what feels good… not to do what’s expected, but what is higher. Not what everyone would agree is justifiable behavior, but what Love requires- even when it isn’t fair to me. Even when it won’t be understood. When it won’t be noticed. When it won’t be appreciated. When it’s painful. When it costs me something and the other nothing. When I’m responsible for only 2% of the problem and I can say: that means I am the problem. I’m beginning to see that until I realize I am the problem I will always be stuck in the cycle of where I’ve been- and then my past DOES determine my future. The limits I put on how much I’m willing to give, bend or take on directly limits where I get to go from here. Taking responsibility- even when I’m only 1% ‘wrong’ means I now have the power to transform. Radical. Unbalanced. Wild. Crazy. Yep. For me, I don’t want to dig around in the sand forever, I plan to walk on water someday. And that means crossing over into a place that is uncomfortable and costs something.In fact I heard last week a saying that you’re not really walking in love unless it costs you something. I’m trying to learn what they need. Then work on practicing it. I want a best friend, she needs a leader who is a good boss to work for. She is my friend and buddy- but anytime I allow the friendship to grow bigger than our working relationship I confuse things and lose ground on the solid relationship I’m building. Each horse is an equine with equine language and needs… yet they are all different and need to be related to in their individual way. Their past influences their reaction in the present yet each moment is new and you can’t allow the past to dictate how you proceed into the future. You cannot pretend with a horse- they know you from underneath your skin yet if you’re not completely confident yet in your knowledge you must fake it till you make it. Always observe and listen to what your horse is telling you- your safety depends on it… but you cannot allow a horse to convince you to change your mind. Stay direct, be as firm as you have to be yet always as light and gentle as possible. Just like life – until you live this out, until you practice it and fail falling to one side or the other of the razor’s edge you must walk, these things seem like contradictions. They aren’t. They are all true. Sometimes the closer I think I get to what I really want the more acutely I feel the failures. Failures are also vital in learning how to move forward- it is necessary to learn to feel convicted without feeling condemned. So often we get this wrong. I see people spiral into self-pity quicksand with all the bad choices or wrong paths they’ve taken “I’m just so hard on myself” – it’s a waste of time and energy. However it is important to see where you’ve gone wrong, what the results were and make a real decision to stop that pattern. You may fail again. Then notice, and stop. Conviction lets you realize you made a bad choice, a mistake, a miscalculation… and you failed your horse, your friend, your family… if you slip into condemning yourself you are stuck and worthless. If you look forward and don’t allow it to define you EVERY TIME you begin to move forward and grow and then you become useful. Every moment spent on self-pity for the wrong decisions is wasted and makes the problem worse, not better. A few days after coffee with my friend I had a real test. 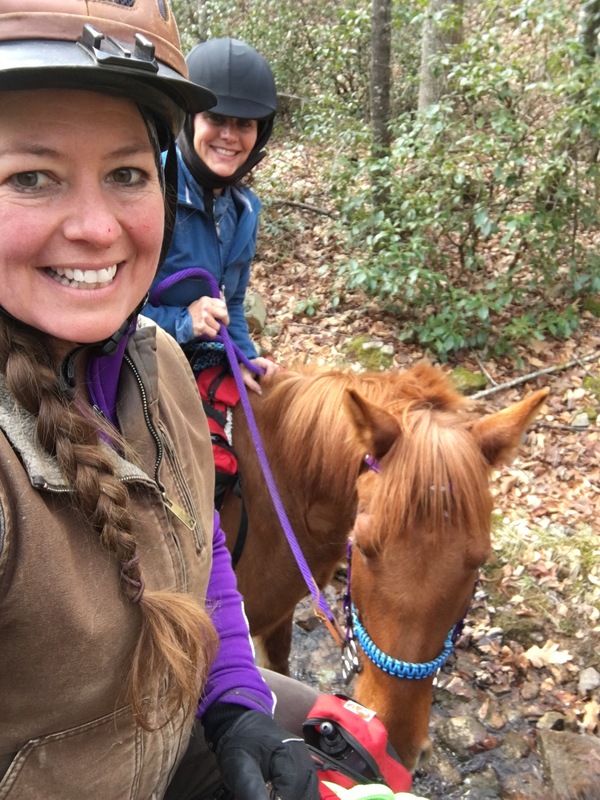 I met two friends for a trail ride (for the first time in a while I wasn’t riding solo). One friend was riding a horse she’d never ridden before and that is always an unknown. My expectations were higher than usual for myself and I honestly didn’t believe they would be met that day. I planned to do my best and see what still needs fixing. I wanted my horse to focus on me completely and not connect to the other horses on the ride. 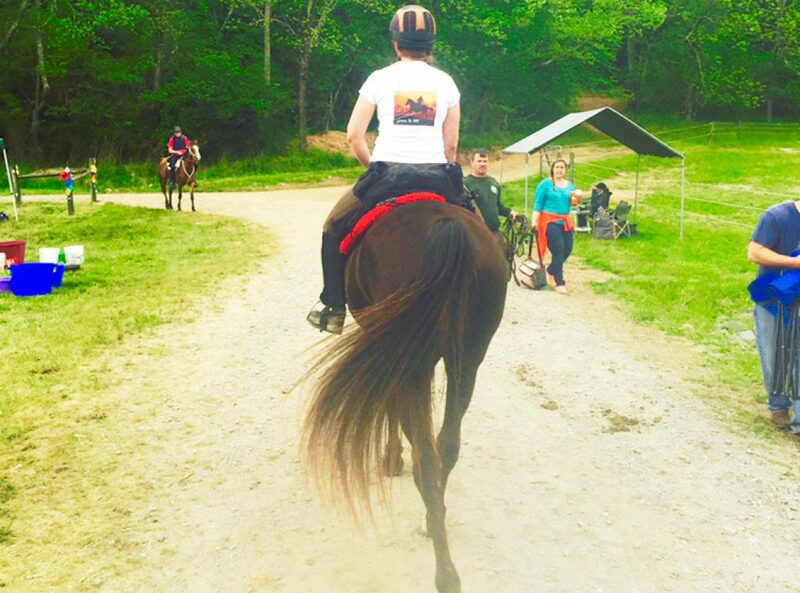 EVERY THING I DID that day was in mind of connecting with my horse from trailer loading, unloading, groundwork before even walking over where my friends had just gotten on their horses. I continued to expect her to focus on me and not the equines- I kept a good distance from them at all times to not encourage her to to connect with them and not to encourage them getting to know each other. This is not a social visit for my horse- these other horses are not “her friends”. She had a job. I rode most of the ride in the back and demanded (from K) at least a horse length between us and the two ahead the entire ride (being in the back gave me more control of my environment). Once when we took the lead another horse rode too close on K and it was obvious to me her attention was now split between me and the horse that was in her zone- so I politely moved aside and took up my place in the rear again. I was not worried she would kick the horse– I did not allow the situation to continue to that level. I cannot control someone else’s horse, but I can put us in a place where my horse has a better window which puts me in control and being a good boss who protects my horse’s space so she doesn’t have to. It is not unreasonable that she requires a zone of space around her on the trail, I think it’s ignorant of us (myself being guilty of this for years) to allow them to ride in such close proximity especially tail to nose considering we are also supposed to be in control of them and make decisions for their movement. When we stopped as a group my horse never took a step without checking in with me and I allowed the other two to get a small lead before moving. That was a great indicator of how much she was connected to me and not the group and I was pleased. Same with a change to trot or canter- she didn’t change until I did. I’ve never had her attention to such a complete degree on a group ride before. After a challenging week feeling like I wasn’t finding the razor’s edge very well, this was hands down the best ride I’ve had. Three hours with friends on the trail leisurely with my horse completely focused on me was more gratifying than finishing my first 55 at the Biltmore. The next evening I rode just before dusk and returned home after dark. She was very very good that ride as well and my favorite moment was crossing the lit up bridge over the Jackson River in the dark. Keep doing what is right and eventually you WILL get a right result. There is a lot of sowing seed, pulling weeds, and tending to the soil before the harvest. Friend via email: Can you ride Friday? Actual reply: No, sorry… I have some meetings and rehearsals and can’t get away- you guys have a great time and thanks for thinking of me! I’ve been wondering for a while now what is going on between me and Khaleesi. Sometimes pretty good and sometimes just passable- I just have a nagging sense our relationship could be better. Yet…. there’s room for improvement. She doesn’t come running to put her head in the halter when I come to get her. She isn’t calm and relaxed when I groom her despite the things I’ve tried to pay attention to: like which hand I use or how I’m approaching her or if the softer or harder brush is preferred. She still occasionally has ‘ugly ears’ to the perfectly nice horses we ride along with. 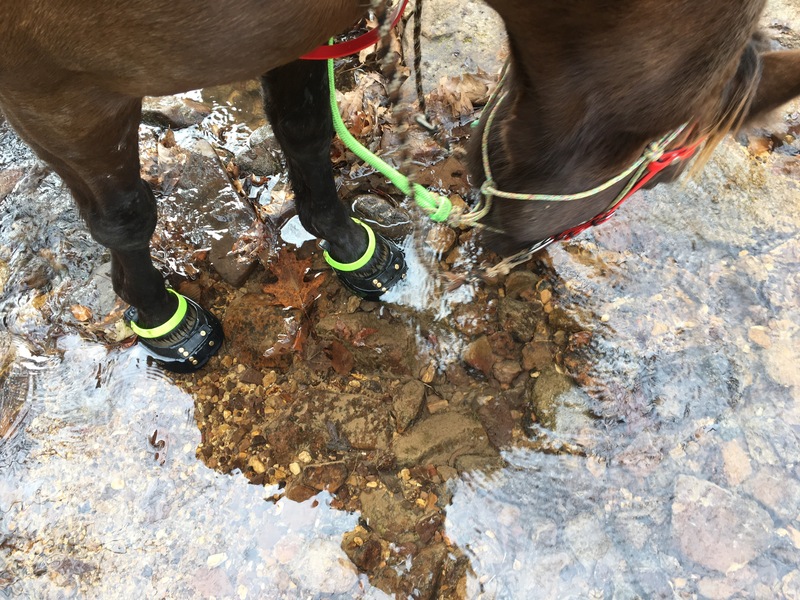 Sure- she isn’t kicking them and I don’t allow her to cut them off, but if she were more tuned in to me would she be more willing to go where I ask at the speed I ask and sometimes to share the trail… without feeling the need to be sure the other horses know how she feels about them? She will load reliably on the trailer, but she doesn’t do it because she wants to and makes that clear. She does it because she knows in the end I will insist so might as well get on. (And no. Every time I load her does not mean hard work. Sometimes I load her and don’t go anywhere. And there’s a ride very close to home that is pretty easy where we drive a mile and ride home she seems to like that we sometimes do.). See it’s not about the trailer. It’s not about learning how to approach better in the field. Its not the other horses. It’s not the brush. As much as that may sound terrible to some- to me it’s a good thing. Because that’s all I can really work on anyway. So this means the issue (if one can call it that since we probably look pretty successful on a surface level) is one I can do something about. It was actually trailer loading recently (with nowhere to go that day so I had plenty of time) that gave me some insight. I’ve been working on my mental fitness with my horses and overall in my life for well over a year now. Many things are improving. I now have a whole lot more control over how I feel about working with my horses and do not allow anger or fear to destroy what I’m working toward. 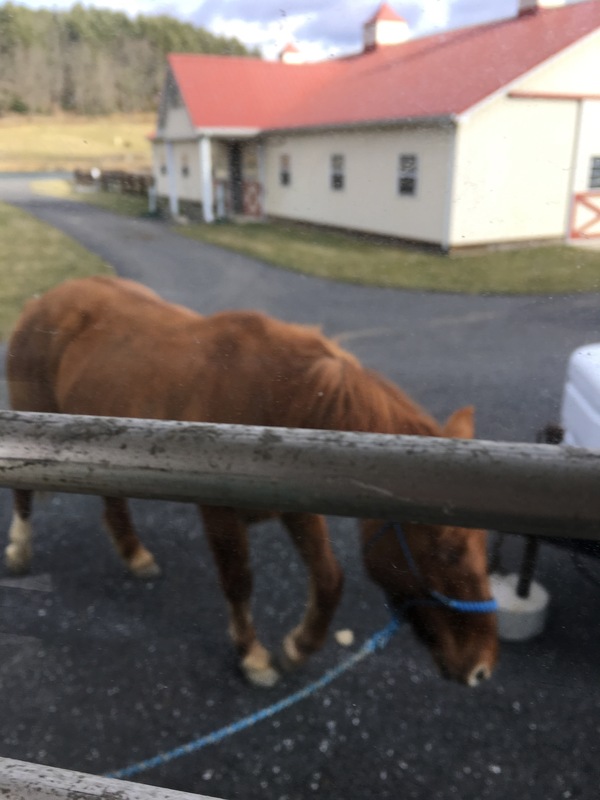 However, as I asked her to load on the trailer… and considering I’ve loaded her before I had a pretty good idea that this was not a question of her not understanding what I wanted…. she wasn’t giving. 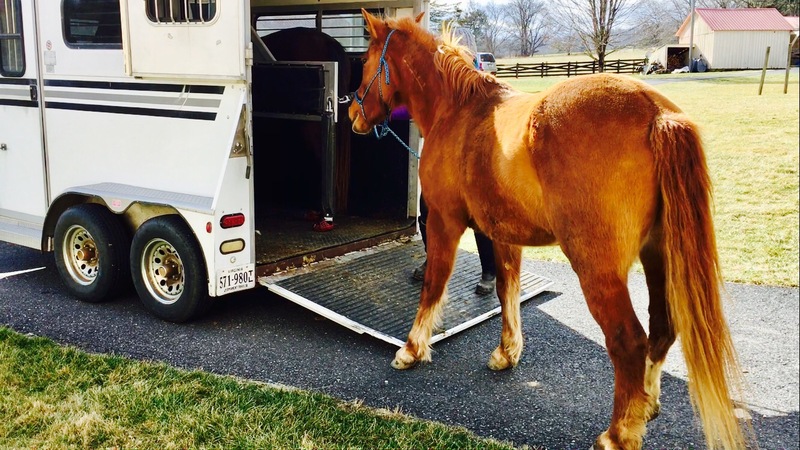 She avoided, she sidestepped, she tried just about everything to not get on the trailer. I had no plans of driving away to meet anyone for a ride and had plenty of time. I was not angry with her and really thought about what could be going on. Was I blocking her somehow– asking her to load but positioning my body language to tell her not to load? Was she concerned about Wild Heart in the barn? As the herd leader not wanting us to drive away leaving her tied in the aisle? Was she ‘testing’ me somehow- to see if my reaction would hold up? If I would stay calm even if she didn’t give me what I asked for? I wasn’t angry or mad at her. But there was this little hint of an underlying feeling…..
As the layers get peeled back and the easy obvious issues get worked on then there are the smaller ones. I didn’t yell at her or jerk her around by the head or hit her with a stick but being honest with myself I was definitely annoyed. And horses are a million times more sensitive than a human so she knew it too. Equine leaders do not get annoyed. There I was again. Acting like a human. The horse cannot figure out how to be more human-like. We can anthropomorphise all we want. They are horses and they do not think and reason like humans do. Yes. I followed through, got it done, and Khaleesi got on the trailer and calmly ate some hay while I worked with Wild Heart around the trailer for a few. Then after some reflection on the afternoon I decided to get serious going forward about carving out more of the human attributes that convince my horses I cannot be completely trusted. One thing I can see for sure is that it has got to be a real shift. You cannot lie to a horse. You cannot fool a horse (the way you can fool humans) about if the inside matches the outside. And you don’t get to play around with being that leader sometimes or if I’m having a good day or if I’m not under stress in my life or whatever. It has to be reliable and consistent because the one time I do something un-leader-like I have proven again I cannot be completely trusted. One thing I’m not sure of because I don’t have the experience – is if my process to be a true leader to Khaleesi is more extreme (or not) that it would be with a more mid-pack or lower level horse. I have only seen Khaleesi take charge or at least make the effort to take charge of any group she has gotten to mix with. She does not lack confidence. I have never seen her (as I’ve seen Wild Heart and other geldings at the farm) look to anyone else for direction. So if my own experiences seem unusual or extreme in finding the leadership position I should mention that I’m fairly certain I have a top of herd mare who might need more proof of my worthiness than Wild Heart for example who is a mid-level mare naturally. But in the end. This is why I have horses. To learn how to be that person. To grow and to get better. And then to have success in whatever I do with my horse because we’ve become a team and I am the brains and she is (as Buck puts it) a willing extension of my own legs. Or maybe if you prefer Tom Dorrance- I’m looking for the True Unity. My plan is to figure out how to look more like the equine leader my mare is looking for. One she can trust to take over so she can relax and go along with me- because she has NO DOUBT: I’ve got this. So I have made a commitment to become part of their world, learn and prove it. And I’m planning not to ride again until I make at least some noticeable headway. I know. Many of you are certain I’ve lost my mind. And the rest of you are not sure but wonder. I have no idea how long this might take. I&apos;ve been asked a few times lately if I&apos;m getting ready for another endurance event. The answer has been the same since mid-June: Yes! Hopefully in September! It&apos;s a long in-season hiatus especially since I didn&apos;t complete the OD so my last 50 was in April. I don&apos;t usually ride in July and then had the trip to settle in Faygo making Ride Between the Rivers impossible. Then the clinic with Dee had to be the same weekend as the Iron Mountain ride… but doesn&apos;t everything happen as it should? Meanwhile what is going on? Am I riding a lot? What exactly does one mean by a lot…..
Building myself. Building K. Building relationships along with the physical structures. And Wild Heart the mustang mare seems to be at the center of all of it lately. She has been teaching me how to build. We don&apos;t always get the horse we want… but we always get the horse we need. Well I have to believe it with this one. The horse I wanted and thought I was getting was a mustang mare who would have fantastic feet, ability to take care of herself, a good head on her, already gentled to humans and with some saddle time and a few trail miles. Just needing some more experience and confidence. Ready to hit the trails! What I ended up with was a mustang mare with fantastic feet, ability to take care of herself, a good head on her, already gentled to humans and with some saddle time and a few trail miles that had a lot of questions and some residual physical issues from past injuries (likely in the wild or in captivity) and wasn&apos;t ready to carry any one of us around on her back until she got some answers! Maybe I could have cowboy&apos;d (is that a word? No offense to the great cowboy horsemen who didn&apos;t use violence and force) her into submission. But in my opinion that is how people get hurt. I am well aware that anyone working with horses will get hurt at some point… I&apos;d like to at least cut back on the likelihood of it being on purpose because my horse is sick of not being understood and decides I&apos;m of no use to her anymore and she&apos;d rather pick a fight than cooperate. Especially at the point when she realizes she&apos;s bigger and stronger (and probably in that instance smarter) than me. I&apos;d prefer to work together so we agree life is better when my brain is the one making decisions when we are together. So I&apos;m listening. And finally I&apos;ve begun to actually hear (my equine translations beginning to improve) and they know it now. And the horses have a lot to say. It&apos;s like being immersed in another language knowing only a handful of words and someone you really need to work with is talking to you in that strange language and your brain hurts trying to figure it out without a translator. At least that&apos;s how my barn time feels sometimes. Yes. I&apos;m the crazy horse lady now who thinks my horses talk to me. How do I know it&apos;s not my imagination? Because sometimes I get it right. And it&apos;s so obvious then. Wild Heart is basically good to be tied in the barn. For long periods of time too. For the most part she&apos;ll stand quietly and relax. Until she doesn&apos;t.
What I&apos;ve often heard in training advice is basically ignore her – if she paws, gets antsy, impatient. Horses need to learn to stand tied! She&apos;ll learn to stand there all day if I need her to. That&apos;s her job. Stand tied quietly as long as I ask. Then one day my friend Pam is here and she sees the horse go from calm to antsy and asks: do you think she needs to pee? Are you kidding me? No. I&apos;ve never considered that. If she has to pee… she&apos;ll pee. She&apos;s peed in the barn before. We just rinse it away. While we are talking about it she pees. I rinse it away and think…. hm. She is still a little antsy. Seems like maybe that wasn&apos;t it? She pees again. (Within a minute). Rinse it away…. boy am I feeling like an idiot. She peed a little to try to help me understand and I assumed that was it. SHE PEES A THIRD TIME. Now I have a horse who asks to go out and will poop and pee outside the barn and will ask to go. Not every single time we work inside- but more often than not. She has not pooped or peed in the barn since that day. And she stands quietly tied for hours if I ask her to. It&apos;s much easier to work on her feet when she&apos;s calm and not begging me to go out and pee. In the past if she was antsy while I was trying to work on her feet I&apos;d have assumed I have a training issue and need to train her to stand quietly. Go figure. Come to find out I had a language issue and the horse was simply asking if she could go to the bathroom before working on her feet. This is bigger than urination- because the problem that seems like that problem isn&apos;t always actually the problem! I am not at all saying if your horse doesn&apos;t stand quietly when tied it has to pee. I&apos;m actually saying the opposite…. that it could be a million things and the only answer to every training issue with horses is: it depends. There is no answer or method that will work except understanding of their equine world and their communication. If you get the answer wrong because you didn&apos;t understand the question it ends up lose-lose. So maybe your answer IS the horse needs to learn some patience and to stand quietly tied. Or maybe it&apos;s something entirely different. But it&apos;s the tiny things we get right or not that will determine the success with that horse. In Heart&apos;s case I know she was saying she needed to pee because that answer worked. I think back to how nicely this mustang had her feet trimmed by my farrier in months past- he&apos;d worked with her twice. Then the last time a blow up. First answer is always the same: because I failed her. I put her in a situation she should never had been in. That doesn&apos;t mean beat myself up and live there in failure but I need to sort it out because failure is only useful if it&apos;s about learning. It also means I have to now dig myself out of her being resistant in her right front and leaning to care for her feet myself for the time being because I can&apos;t allow anyone to work with her who might jeopardize the relationship I&apos;ve worked so hard to build. The two things that ruin horses the fastest are ignorance and ego. That day both of those things came into play. It can happen in an instant. One thing I&apos;ve learned about having a mustang: there is little room for error. They are sensitive to everything and a change can happen very fast. Hopefully I can use all that to my advantage. First in learning how to be better myself, and because she can have fast positive change as well… if I get it right. It&apos;s Wild Heart that has insisted I get better. Fast. She has a lot to say and is much less patient. Khaleesi talks to me and I understand like 10% and she seems to say: for a dumb human you&apos;re not so bad and I&apos;ll take the 10% and the fact that you&apos;re trying and I like you. Heart talks to me and I understand like 10% and she says: DO YOU NEED ME TO S-P-E-A-K S-L-O-W-E-R? HOW ABOUT LOUDER? HELLLLOOOOO HUMAN…. ARE YOU RETARDED? Maybe if I nip or kick at her she&apos;ll wake up? When you don&apos;t have a choice you learn or get hurt. Don&apos;t misunderstand me: she is an excellent horse!! This is not bad behavior! And also by listening to her communication and trying to help her I am not putting her in charge or abdicating my leadership role. My job is to understand as much as I can and then use the information. And they know so much we are wise to ask for their report. I can say &apos;no&apos; or &apos;not right now&apos; or &apos;thank you but I have a better idea&apos;. Being a good leader does not mean saying: shut up I don&apos;t care what you have to say if you don&apos;t get in line I&apos;ll have to force you to and get frustrated or angry in the process. Then when I have an emotional melt down (anger, frustration, fear…) and yell at you-you&apos;ll know to just shut down and obey!! How is this getting me to 100? First I am riding my horse. Just not as often. But second, I have this gut feeling that understanding my horse and leaning her language could be a vital component of a long successful career. If I work together with her and she&apos;s willing to carry me that far because we are a true team I will be more successful for longer. If I learn her language enough for her to tell me when something isn&apos;t right early enough for me to adjust and fix it we will be more successful. You know how so many people say…. If only they could just tell us….. If only we could understand. The only way to understand I&apos;ve found so far is through regular conversations practicing the language and listening and hearing. Assume EVERYTHING horses do is communication. NOTHING IS RANDOM. But once the box is open. You can&apos;t put it back in. You can&apos;t unhear what you&apos;ve heard. You can&apos;t unknow what you&apos;ve learned. Sometimes I think about how much easier life was when I just went out put on a saddle and rode my horse. I had a nice one. She knew I meant well, loved and cared for her and she put up with me. Hopefully now I&apos;m better trained. The horses are my teachers. I have many years to go before I&apos;m fluent. But I have a few words here and there and at least am trying!